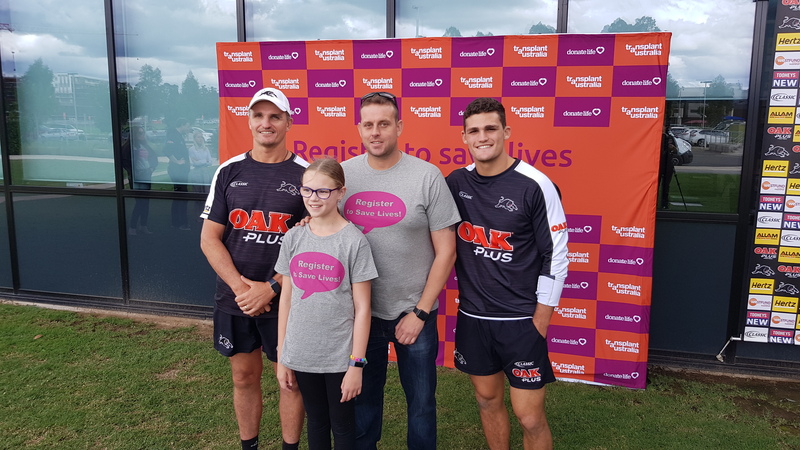 Penrith Panthers Head Coach, Ivan Cleary, has already done more than enough for the cause of organ and tissue donation. In late 2017 he donated a kidney to his brother, Ash, who had been struck down with kidney disease. Transplant Australia today announced Ivan was taking that commitment one step further agreeing to become an ambassador for organ and tissue donation with national charity, Transplant Australia. Transplant Australia CEO, Chris Thomas, thanked Ivan not only for his selfless decision to help his brother but his willingness to share his personal story with the Penrith players, staff and fans and the wider community. “Transplant Australia and some transplant recipients had the pleasure of spending a few hours with Ivan, his son Nathan and all the team this week at training. As a first grade coach he obviously lives in a pressure cooker environment with results expected every week,” Mr Thomas said. “From our perspective he’s already a winner through this extremely generous act to help his brother, Ash. Ash has made a full recovery and its obvious this has had a profound effect on the Cleary family and all the players at Penrith. “We are extremely pleased Ivan has agreed to be an ambassador for the next 12 months and he is in a unique role to help convince more Australians to sign on to be registered organ donors. Read our release: Transplant Australia welcomes Ivan Cleary as a Transplant Ambassador. Earlier this week Ivan and Nathan and several Penrith players met with Transplant Australia and DonateLife NSW including recipients Paul Hudson and Kyla Devine, both mad Penrith fans.